We are bringing rustic to a whole new level. A quick search on Pinterest shows you the many rustic and amazingly beautiful creations made by the best florists in the world. Luckily for you, we happen to have some of the best florists in the world too. Carefully nurtured and dried, we bring to you the Wild One Bouquet. 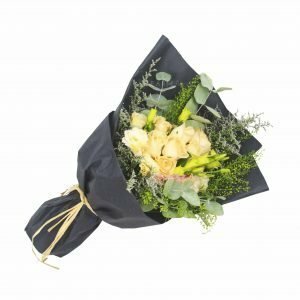 A complementing mixture of different species of wild plants and flowers to give you a gift that is even suitable for non romantic purposes. Untie this beauty and place in a jar to ogle at it forever! The Wild One is probably one of the most unique bouquets that we have. Hung to dry under the most perfect conditions, we enable it to maintain its beautiful structure and colour. Here’s to something amazing that would last forever!